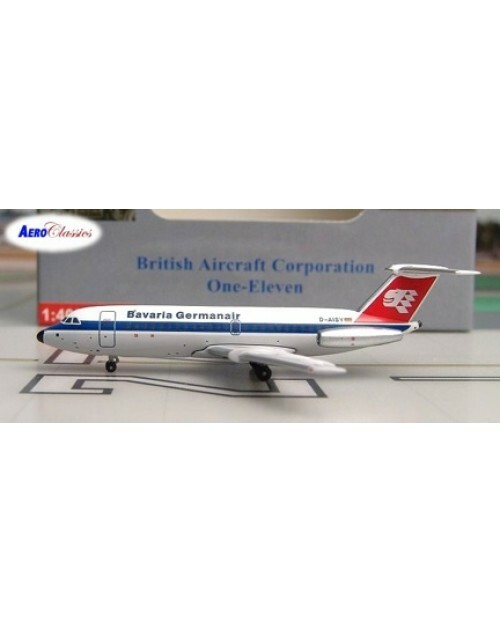 1/400 scale die cast AeroClassics Bavaria Germanair BAC-111-414EG with transitional color scheme. Registration: D-AISY. Released in February 2009. Dimensions: Length:2 3/4 inches (7 cms), Wing Span 2 1/2 inches (6.8 cms).